2. 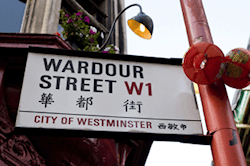 Weird Words: Wardour-Street English. 4. Questions and Answers: Whipping-boy. Holiday break World Wide Words will not appear next week — my wife and I are taking a short trip away. The issue of 1 September is the next scheduled one. Another word with similar associations is screed, a strip of wood or other material to set a level for laying concrete or applying plaster (we meet it more often in the sense of the result). This again has a different history: it once meant an edge or bordering strip, from which the current sense derives. It was earlier a strip or fragment cut or torn from a larger piece — the Old English original is also the source of shred. Out of school A quotation of 1833 in the piece on talking out of school last week referred dismissively to “riding schools and schools for scandal”. The second allusion was obvious but the first puzzled me. I have led too sheltered a lexicographical life. Bruce Napier suggested riding school was a low slang term of the time for a brothel. This is supported by the related term riding academy being on record in this sense. And you may not know that a confusion between the two meanings of riding school was the basis of a South African film of 1981, Birds of Paradise. I caught myself using the obsolete word withal in an e-mail to a subscriber last week and out of interest looked it up. I was deeply chastened to find it dismissed as a Wardour-Street word in every edition of Fowler’s Modern English Usage back to the first of 1926. It is not a compliment. In my younger days, London’s Wardour Street was a metaphor for the British film industry, which was based in and around it. No longer. As the Sunday Times wrote in May 2012, “The movie companies, which had great window displays all along Wardour Street, have gone.” To men of an earlier generation, such as H W Fowler, the associations of the street were instead with dealers in antique furniture and imitations thereof. As Wardour Street itself offers to those who live in modern houses the opportunity of picking up an antique or two that will be conspicuous for good or ill among their surroundings, so this article offers to those who write modern English a selection of oddments calculated to establish (in the eyes of some readers) their claim to be persons of taste & writers of beautiful English. A Dictionary of Modern English Usage, by H W Fowler, 1926. Wardour-Street words are borrowed especially by the authors of bad historical fiction who adopt the “Prithee, sirrah!” and “Have at ye, thou scurvy varlet!” schools of exposition. They follow writers of an earlier age, above whom towers Sir Walter Scott, who single-handedly invented the historical genre and resurrected many antique words with which to decorate it. Wardour-Street English sounds like a phrase that Fowler might have invented. But it’s older. Its creator, writing in Longman’s Magazine in October 1888, was a historian named Archibald Ballantyne, who had the year previously published a biography of the eighteenth-century statesman Lord Carteret. In the same way that an unscrupulous dealer might distress a modern piece of furniture to create a spurious impression of age, argued Ballantyne, so writers who clothe their prose in the cast-offs of ye olde Englyshe are producing poor fakes. Elderly lexicographers who spend so much of their time reading old texts that they have picked up obsolete turns of phrase may surely be excused this condemnation. Massie then settles down into a species of Wardour Street English not seen since the days of W.H. Ainsworth and G. P. R. James, in which a horse is always a trusty steed or even a “palfrey”, the wretched Alory, absconding bearer of the Oriflamme, is branded ‘a coward and a poltroon’ and Elgebast warns the esquires Ivor and Yves that “if you play me false I shall split the pair of you from gizzard to guts”. In a review of Charlemagne and Roland by Allan Massie in the Spectator, 11 Aug. 2007. Q From Jonas Withers: I’ve just read that somebody had become a whipping-boy. Where does this come from? Was he ever a real boy? A He was, and it’s one of the stranger stories in word history. Sorkin is well aware that he is a whipping-boy for a swathe of America — he’s the preppy liberal with a big ego they love to hate. Sunday Times, 8 Jul. 2012. The context is Aaron Sorkin’s TV show The Newsroom. These days, whipping-boy is as figurative a term as scapegoat. We don’t any longer load all the sins of a community on to a goat and send it into the wilderness and similarly we don’t chastise a child for the naughtiness of another. But we once did. 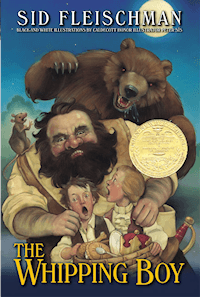 Prince: Why, how now, Browne; what’s the matter? Browne: Your Grace loyters, and will not plye your booke, and your tutors have whipt me for it. Prince: Alas, poor Ned! I am sorrie for it. I’ll take the more paines, and entreate my tutors for thee. When You see Me You know Me, by Samuel Rowley, 1604. It has often been suggested that the system grew up because the prince’s tutors daren’t lay a hand on the prince and so punished his companion. It’s more probable that it was a better way of keeping the prince well-mannered than direct punishment, since he knew that if he transgressed his companion would suffer instead. It must have been difficult for young Barnaby, but he briefly did well out of it. He became an intimate of the future king and was sent to France to complete his education. However, Edward VI died in 1553, aged only 15, and hope of preference vanished. Half a century later, in 1603, another boy, the even younger William Murray, was placed by his father in a similar situation with Prince Charles, later Charles I. Murray did better than Fitzpatrick: he later became the first Earl of Dysart and a confidant of the king, working even after Charles’s execution to put Charles II on the throne. The term whipping-boy wasn’t around at the time of either of these boys — it was sometimes known as “punishment by proxy”. The first known user of whipping-boy was a clergyman named John Trapp in a Biblical commentary in 1647. • Freudian slip? Chas Blacker read a comment from one of Britain’s veteran medal winners in the Independent on 7 August: “‘My hip’s great,’ said Skeleton, ‘It’s my back that’s the problem now.’” The speaker was actually show-jumper Nick Skelton. • Definitely a headline to make you read it twice — Richard Moloney found it in the Irish Times on 14 August: “Cruise ship makes maiden stop in Dublin”. Accidental wording, or sub-editor’s joke? Last modified: 18 August 2012.